Recently I read a profile of the American novelist and short-story writer Joyce Carol Oates (born 1938). It began by saying that, when reviewers deal with her, they always have to admit that they have read only a fraction of her work. There is a reason for this. Since the early 1960s, Oates has produced over 90 books, including fifty novels. She averages nearly two books a year and it would take a couple of years to read her complete works. Her productivity drives some people wild. The late neurotic and insecure scribbler Gore Vidal, who spent his public life posing as a world-weary patrician, was big on bitchy one-liners and put-downs. 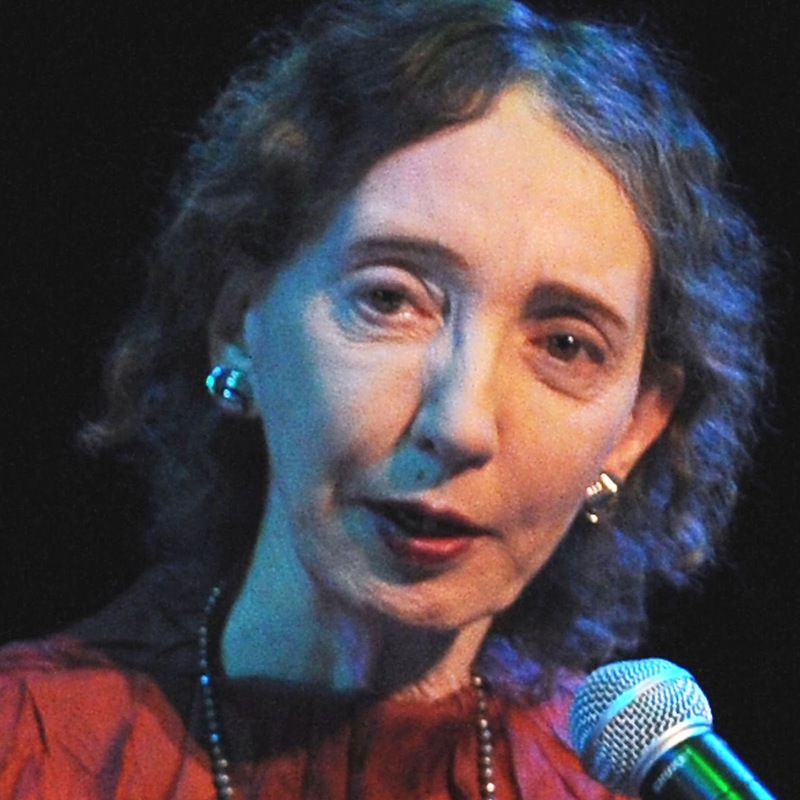 The story goes that when asked what the three most dispiriting words in the English language were, he replied “Joyce Carol Oates”. For those who have read none of her work, this is a good enough excuse to ignore her. For myself, I have, like most people, read only a few of her books, but at the very least I have found them entertaining, even if they do sometimes go on a bit. (Find elsewhere on this blog reviews of Joyce Carol Oates’ Gothic vampire novel The Accursed and her short-story collection Black Dahlia& White Rose). 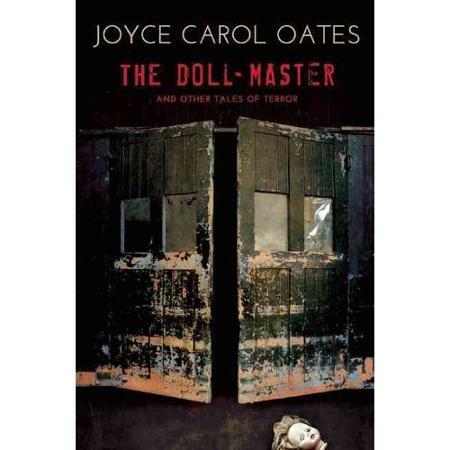 Oates’ latest production The Doll-Master and other tales of terror comprises six longish short stories (all about forty or fifty pages in length). All are more or less in the thriller or suspense mode, though I think it’s stretching it a bit to call then “tales of terror”. I would say that only one of them really terrified me. The rest gave a slight frisson of impending doom, but no real terror. All were previously published in magazines, as is the way with Oates’ story collections, with fully half of them first appearing in the venerable Ellery Queen Mystery Magazine. The title story “The Doll-Master” is told in the first-person by Robbie who, when he was a little boy, was separated from the little girl he liked who owned a doll. Robbie became obsessed with dolls, hiding his obsession from his macho father who wanted him to play with action men. The story develops with his collecting and hiding dolls he has found, until he is of college student age. His voice is the voice of a psychopath. This is creepy up to a point, but regrettably, the story comes to a punch-line which reveals too much and shows much of the story to have been trickery at the reader’s expense. I am surprised that it is the weakest entry that gives the volume its title. “Soldier” is once again told in the first-person voice of a disturbed male, 30-year-old Brandon who is awaiting trial for what some characterise as a race-hate-crime. He shot dead a black teenager, but he seems to sincerely believe that he was being threatened by a gang and acted in self-defence. In part, Joyce Carol Oates is satirising both the hysteria of social media and those who promote racial violence. Awaiting trial, Brandon gets hate mail but also mail telling him that he is a hero. A wealthy gun manufacturer pays for his defence and a TV company offers big money to dramatise his life story. Because this is in the first-person, we believe we are privileged to see how Brandon’s mind really works. It is clear that his upbringing (fundamentalist Protestant church; gun-toting ex-cop uncle) has influenced the way he thinks. It is also clear that he has limited intelligence. When shown a large denomination banknote he says “It is the first time I have seen and touched a hundred-dollar bill with the face of Benjamin Franklin on it – I think he is one of the U. S. presidents of a long time ago.” He puts common phrases, unfamiliar to himself, in inverted commas (“defence team” etc) the way the semi-literate sometimes do, and at one point he admits that he has never travelled further than the next county. We tend to pity him rather than despise him. But Oates pulls a switch in the last few pages of this 40-page story which so totally changes the psychological landscape that it is hard not to think we have suffered a prolonged confidence trick. I am left wondering if Joyce Carol Oates set out to explore in detail the mind of a killer, but than backed out into a compromise ending. “Equatorial” is told in the third person, but it is the third-person-limited in which we see the thoughts of only one character, Audrey. She is the wife of an academic, Henry, accompanying him on a guided tour to Ecuador and the Galapagos Islands. She feels inadequate. She is not an academic as most of the tour party is. She is Henry’s third wife and he is her second husband. Could it be that their marriage is falling apart? Could it be that Henry has found another woman? Indeed could it be that Henry is trying to kill her? Was he actually tying to knock her off balance when they came down that steep mountain path in Ecuador? Did he want to push her into the sea from the “moon deck” of their cruise ship? And is that sleek, young Asian woman academic in their tour party Henry’s new lover, because Audrey thinks she’s seen the woman with Henry before? As a suspense story, this one reminds me very much of the ancient Hitchcock film Suspicion, in which a wife spends the whole movie fearing that her husband intends to kill her, and we are not sure if she is right or simply too imaginative. Given that premise, it works reasonably well as suspense (and of course I am not the sort of cad to tell you how it turns out). But Joyce Carol Oates seems to want it to say something more. Henry is usually called “the husband” and Audrey “the wife”, as if they are types of marital insecurity. And in the Galapagos Islands section there’s a lot of talk about natural selection (it’s Darwin country, folks) and whether the fittest really do survive – which Audrey relates to her own fraught situation. But while it’s a good time-passer, I see it as a suspense story with pretensions. For me, “Big Momma” is the one real tale of terror in the book, with suspense built up slowly to a grisly ending. Again, it is written in the third-person-limited voice, with us sharing the thoughts and viewpoint of Violet. She is an awkward only child, friendless at school and neglected by her mother who is often out late. But a nice man takes an interest in Violet and often drives her to his home, where she enjoys the company of other children, especially as the man is the father of one of her classmates. Gosh, the man is nice to her. He strokes the nape of her neck affectionately… and if you at this point think you know where this unsettling story is going, you are quite wrong. At about midway point it introduces us to something bizarre and horrifying, taking us down quite a different path. I can’t spike its surprise by saying anything further. It works very well as a horror story. There is nothing more that need be said about it. “Mystery Inc.”, on the other hand, dips into a rather more genteel form of horror – indeed a somewhat retro one. The first-person narrator is the disgruntled owner of a chain of failing second-hand bookshops. He plans to murder the owner of an upmarket antiquarian bookstore, which he hopes to take over. His voice is fussy, pedantic and self-justifying and we lose much confidence in him when, less than a third of the way through the story, we learn that he has disguised himself from his intended murder victim by donning a red wig and false glasses. Surely the owner of a shop specialising in murder-mystery books would rapidly see through such a disguise?! It is not only the antique bookstore setting, but also the story’s development that makes it appear most like the old-fashioned “cosy” variety of murder story – like those which appeared in the very same antique novels and mystery magazines that line the bookshop’s shelves and are referenced in the text. This cosiness is reinforced by the way so much of the story is conveyed in a long conversation between the would-be murderer and his intended victim. Is there any distinctive voice of Joyce Carol Oates in these stories? Not really. They are the work of an author who knows how to adapt herself to the requirements of publications that accept her work, and proof that she can turn her hand to mystery and murder stories, some with odd psychological kinks. Cornell Woolrich and Patricia Highsmith did the kinks better than she does, but she is entertaining. Which is no less than I expected of her.